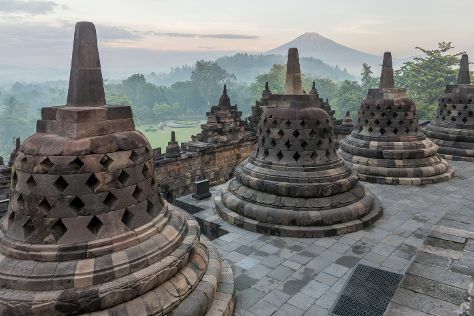 Take a trip to Yogyakarta to experience life in the cultural epicenter of Javanese culture, founded in the 18th century and boasting a complex history of imperial wrangling, revolutions, and wars. Your day-by-day itinerary now includes Ratu Boko Temple, Borobudur Temple, Kota Gede, and other attractions you added. Take a break from Yogyakarta with a short trip to Slili Beach in Gunung Kidul, about 1:55 hours away. To see ratings, maps, reviews, and tourist information, read Yogyakarta trip itinerary maker. If you are flying in from Singapore, the closest major airports are Adi Sutjipto International Airport, Adi Sumarmo Wiryokusumo Airport and Achmad Yani Airport. You will leave for home on the 30th (Fri).